It has become popular to feed cats a raw diet. This means feeding them uncooked animal muscle meat,organ meat, and bones. This diet is often called the BARF diet. This stands for either ‘bones and raw food’ or ’biologically appropriate raw food’. The reason for this surge in raw food diets is that it imitates what cats eat in the wild. If you have cats that go outdoors, you will probably be brought home ‘presents’ by your cats. They think nothing of killing rodents, birds, and even rabbits. They are carnivores and have to eat meat or fish to survive. Carbohydrates need to only be minimal in their diets. In this guide, we have compiled a set of criteria for you to judge raw cat food by. They are listed in no particular order as cats can be fussy and picky with their food. It will be trial and error to start with and you may have to try different foods before you find one they like. In fact cats don’t like change very much. It is always best to introduce a new food gradually. Start by mixing just a little of the raw food with their regular food and then increasing it until all they are getting is the raw food. Raw cat food is uncooked so it still retains the original nutrients which can be destroyed in the cooking process. This is the kind of diet your cats should be eating. 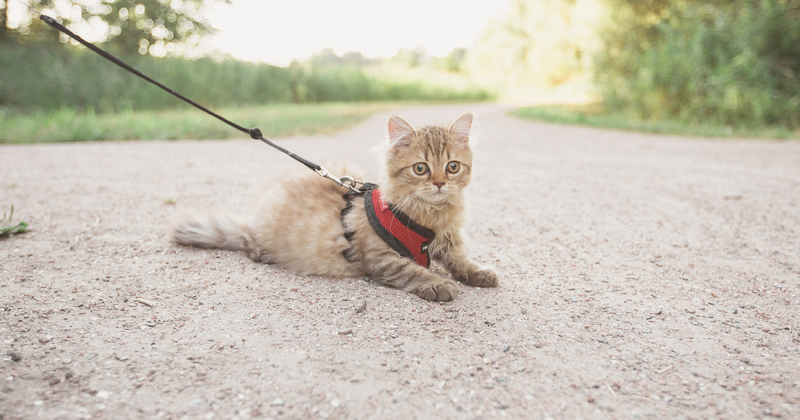 It improves your cats’ digestion, their overall health, and their energy levels. Some vets and animal nutritionists however believe that it is unsafe to feed cats a raw food diet. They believe that there is a risk for the cats and the people preparing the food to be exposed to food-borne illnesses. Other people on the other hand believe that it is no more dangerous than preparing raw meat for human consumption. You just have to take the usual safety precautions and cleanliness is of the utmost importance. Perhaps you are wondering about bones being part of the diet? Don’t they pose a danger to your cats? The answer to this is no. It is cooked bones which are dangerous as they are prone to splintering and can puncture the esophagus, stomach, or intestines. When bones are raw they are soft enough for your cats to eat and digest. Some manufacturers do add some raw fruit and vegetables to their raw food recipes, but these are kept to a minimum as cats only require small amounts of these products. Eggs are also used, because they have a good protein count. However, only the yolks are added as the whites contain a protein called avidin. This can mess with the ability of the cats to digest and utilize B vitamins. Raw cat food comes in a variety of different products. Freeze - dried: This is raw food which has been air-dried to remove moisture without removing the essential nutrients. It is tempting to try to make your own raw cat food. After all, you prepare food for your family. However, this should only be done if you discuss it with your vet. It isn’t easy to create a completely nutritional meal for your cats from scratch. There are certain ingredients a cat needs which he can’t get from the raw meat and fish you provide. A vitamin supplement probably won’t be adequate, but there is a product called TCFeline which does include what your cats need for optimum health. It comes in powder form and can be mixed in with the raw meat or fish.There are also recipes online which you can try but they mostly require a lot of ingredients on top of rawfood, such as a taurine supplement and omega fatty acids.. 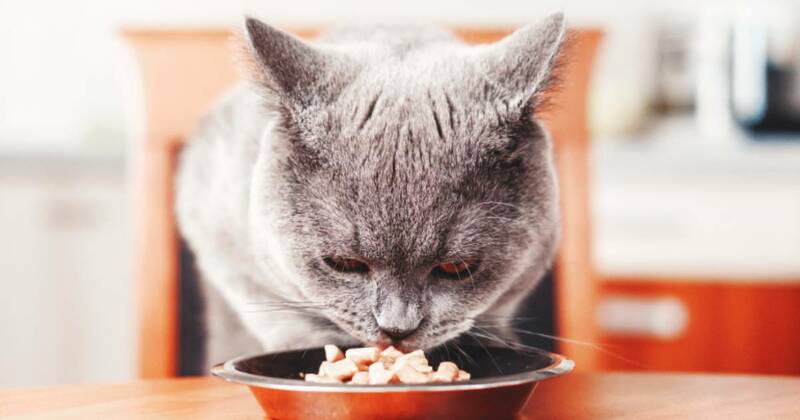 There are more pros than cons to feeding a raw cat food diet. The most important thing is that you are replicating the diet cats get in the wild to a certain extent. Many commercial raw cat food use such ingredients as rabbits, farm raised chickens and turkeys, and fish, which are close to what cats would be catching in the wild. The bodies of cats are designed to process meat, not fiber, fruit, and vegetables. Some commercially produced raw cat food companies do use some fruit and vegetables, but these are kept to a minimum, just enough to give them some extra nutrients. Regular cat food tends to have too many empty fillers like wheat, soy and corn. If you are feeding a regular cat food, it is best to go for grain-free. In addition, regular cat food doesn’t have nearly as much protein, especially wet cat food. Because your cats are able to digest raw food better than cooked, means that they absorb the nutrients better than with a regular cat food. Meat and bones are packed full of nutrients which your cats can absorb easily. They contain a lot of protein, which is the most important ingredient in cats’ diets. There are also essential fatty acids, vitamins, minerals, and digestive enzymes. All this contributes to a strong immune system, a glossy coat, and healthy skin. Raw cat food is also good for the teeth. It rubs away tartar and gives your kitties sweet-smelling breath. It also helps to strengthen the jaws. 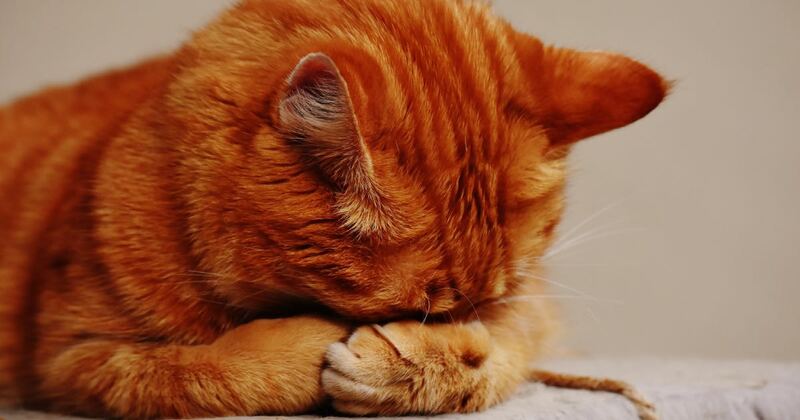 If your cats have any allergies to regular cat food, raw cat food could get rid of them. Finally, there is less waste with raw cat food. Most of it is used up by the cats, meaning there is less stool and little odor, which is always a plus when you have a cat litter box. Another benefit of raw cat food is the lack of starch in the food. Both starches and sugars can lead to any number of illnesses, such as diabetes, inflammation, arthritis, urinary tract infections, and obesity. 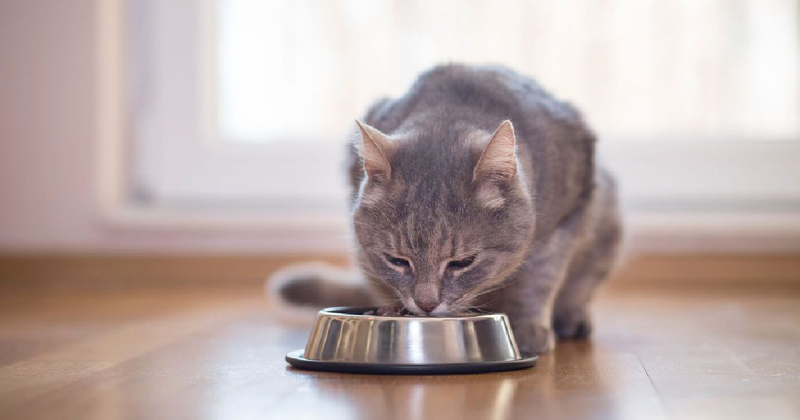 While your cats can become fat on a raw food diet, it is less likely than on a regular food diet..
One of the biggest problems with raw cat food is that it has a very short shelf life, usually only 3-5 days. You can buy frozen raw cat food, but once it’s thawed you will still have to use it up within 3 - 5 days. In addition raw cat food is more expensive than regular cat food so it might not be within everybody’s budget. We have already mentioned the risk of contamination, but this should only be directed towards the people preparing the food. 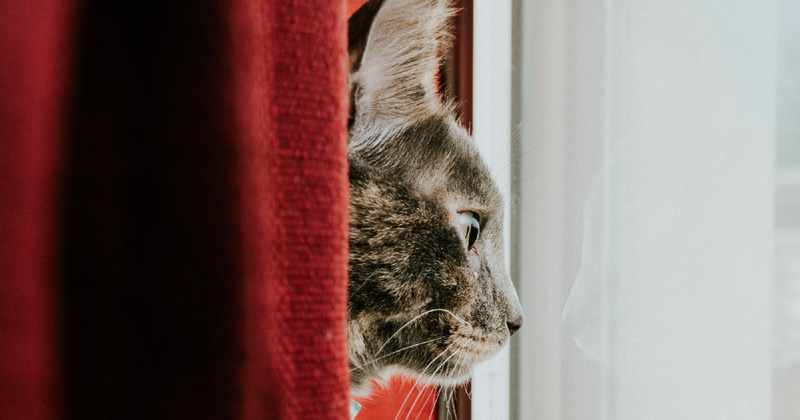 Cats have a larger ability to handle bacterial contamination than people have, but if the food is prepared with the usual safety requirements, this shouldn’t be a problem. Always look at the ingredients before you purchase a raw cat food to make sure it has exactly the right mix of protein, fats, and carbs. Protein should always be the first ingredient as this is what cats need the most. Look for a brand which contains birds, rabbits, and fish as these are the most likely foods your cat would eat out in the wild. It is important that the raw cat food has the right amount of micro and macro-nutrients. They are essential for overall health. The diet must be completely balanced with the correct amount of protein, fat, and just minimal carbs, together with amino acids, vitamins, and minerals. 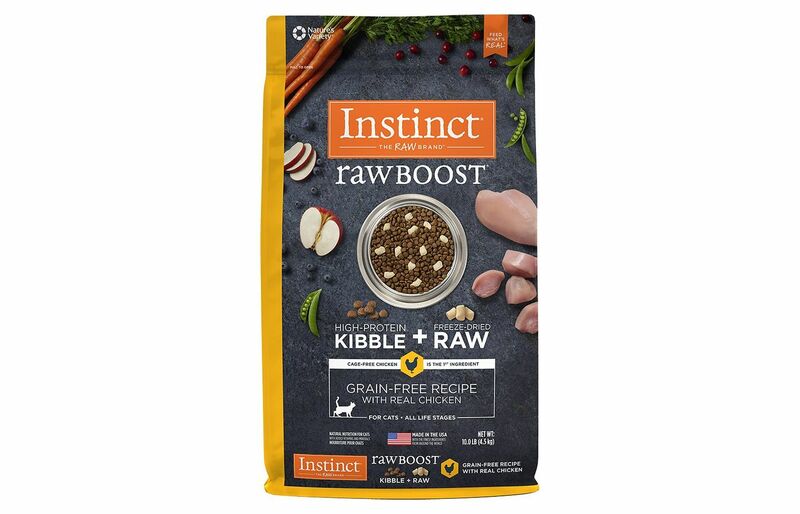 If you are still a little nervous about trying your cat out on a raw food look at the reputation of the company making it. If they have been successful producing regular cat food, their raw cat food is worth trying. Look at reviews as well. If they are all bad, take caution, but it they are good, give it a go.. Ensure that the raw cat food you purchase comes with a certification from AAFCO (the Association of Animal Feed Control Officials. This will assure you that the food contains a balanced amount of nutrition and does not need to have supplements. One of the essential compounds a cat needs is taurine, which is good for heart health. However, it can be destroyed in the heating processes that regular cat foods go through. Check the ingredients on the raw cat food you choose, but you will usually find that there is taurine in it. How Early Can a Cat Start a Raw Diet? As soon as kittens are weaned, they can start on a raw food diet; after all this is what they would eat in the wild. Home-cooked or dehydrated raw food can be served until they are six months of age; then they can be given fresh or frozen raw cat food. What are the Best Foods for a Raw Food Diet? The best thing to do is serve your cat a variety of different meats. This has the benefit of reducing the deficiency of essential vitamins and minerals or the excesses of too much of one thing. If you are preparing the diet at home, quail is a good choice as the bones are a safe size for your cats to chew on. If you are buying a commercial raw food, heart muscles are good, as is liver as they have high levels of taurine which is good for heart health. Fish is also a good choice as are egg yolks which have vitamins A, D, E and K.
Try to keep away from raw foods which have synthetic vitamins and minerals as they can be toxic to cats. Choose a variety of flavors so your cats get a balanced diet. Raw cat food comes in rolls, patties, fresh, frozen, and freeze-dried forms. Stella & Chewys have embraced the idea that cats thrive best on a diet similar to what they would eat in the wild. With this in mind they have developed a range of raw cat foods in different flavors. Their ingredients include grass-fed meats, cage-free poultry and wild-caught fish. They use a minimum of fruit and vegetables, but what they do use is organic. There are no unnecessary grains like corn, wheat,or soy, and in addition, the food is gluten free. This makes the food easier to digest as cats find it difficult to digest grains and gluten. What’s even better, there are no artificial colors, flavors, or preservatives. 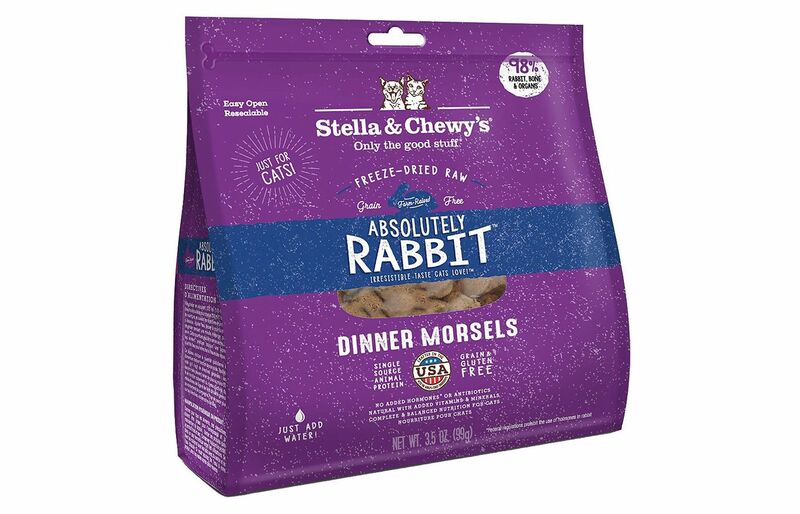 Farm raised rabbit is the main ingredient of this food and it has been raised without antibiotics. Rabbit is something that cats would eat in the wild so it replicates their natural diet. Taurine has been added which promotes heart health, vision, a glossy coat, and healthy skin. In addition, there are natural oils included which helps to relieve itchy skin. There is no need to rehydrate this food. Just scoop out with the included scooper which will give you the correct amount to serve your cats. This food is suitable for cats of all ages from 6 months. Primal are very fussy as to what they put in their foods which is a great thing. They only use fresh ingredients such as meat and poultry which hasn’t been treated with any hormones, antibiotics, or steroids. Fruits and vegetables are organic as are the minerals used. Vitamins are unrefined. The top ingredient in this recipe is duck meat, together with organs and ground bone for calcium. 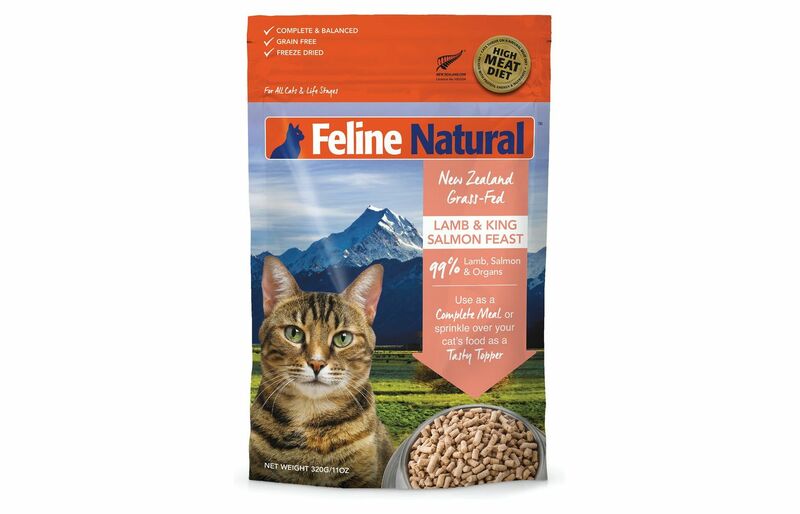 This replicates what cats would normally eat in the wild and is an excellent way to boost health and maintain a proper weight. 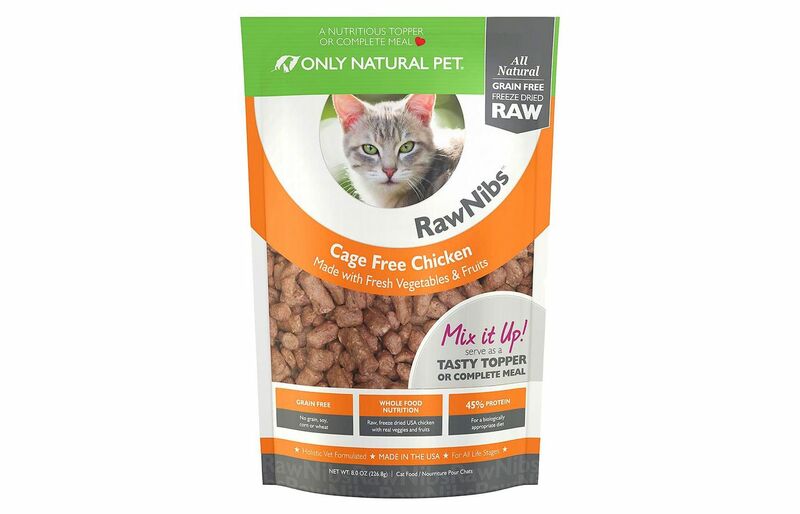 This raw cat food is jam-packed with amino acids, essential fatty acids, and natural occuring enzymes, all of which help to promote optimum health, a glossy coat, and itch-free skin. The meal is very easy to serve. It comes in nugget form and all you do is just add water, leave for a few moments, and then serve. Your cats will be delighted with their meal and will be coming back for seconds. 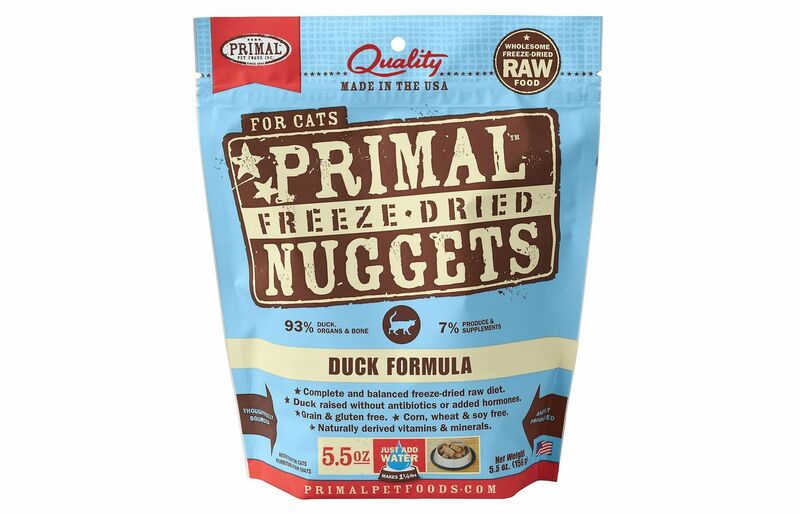 Here we have another Primal product, but this time it’s a treat for your cats. All cats deserve to have a treat now and then so why not pick one that is made from raw food.Primal only use meats which have been raised without the use of steroids,hormones, or antibiotics so you can be assured that your cats are getting a healthy treat.They also only use unrefined vitamins and organic produce and minerals. 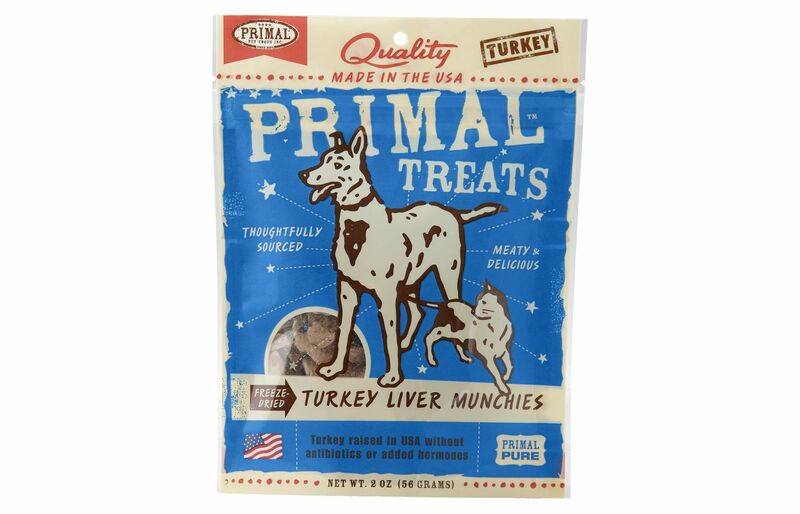 These treats have just one protein source and that is fresh turkey which has been raised in the USA without the use of hormones, steroids, or antibiotics. There are also no artificial colors, flavors or preservatives, no unnecessary grain fillers like corn, wheat, or soy, and no gluten. Cats can’t digest gluten and grains so it’s better to go for a treat without any of these ingredients. This snack is healthy for them as well as tasty. They have a rich turkey flavor which is produced by the low-temperature freeze-drying technique which is used to make them. To top it all, there is no extra sugar or salt added. Both are necessary for your cats’ health. Nature’s Variety is an independent company which has strict standards when it comes to manufacturing their raw food cat recipes. They believe that cat food should be as near as possible to what they would eat in the wild. They started their business when raw food was in it’s infancy and are now one of the leading suppliers of raw cat food. This product is made with cage-free chicken as the first ingredient which will help your cats to have lean and strong muscles. It is grain-free which is great as cats don’t need unnecessary fillers such as wheat, corn, or soy. They find it hard to digest such food, but instead, this food contains probiotics for digestive health. It also doesn’t contain potato, by-product meals, artificial colors, flavors, or preservatives. Cats also don’t need these in their diet. Nature’s Variety Raw Boost contains higher levels of omega fatty acids which helps to promote a glossy coat and healthy skin, with no problems with itchiness. In addition there are plenty of antioxidants in this food which helps to ensure a healthy immune system. All in all, this is an excellent choice. This recipe will suit all breeds of cat and all ages from 8 weeks old. It comes in min patty form so is small enough for kittens’ mouths. It is made from chicken as the main ingredient and these are farm-raised, pasture-fed, and free-run. In fact they are made in a family-run establishment so you will know you are getting a product made out of natural ingredients. In addition, they only use USDA certified and inspected animal protein. 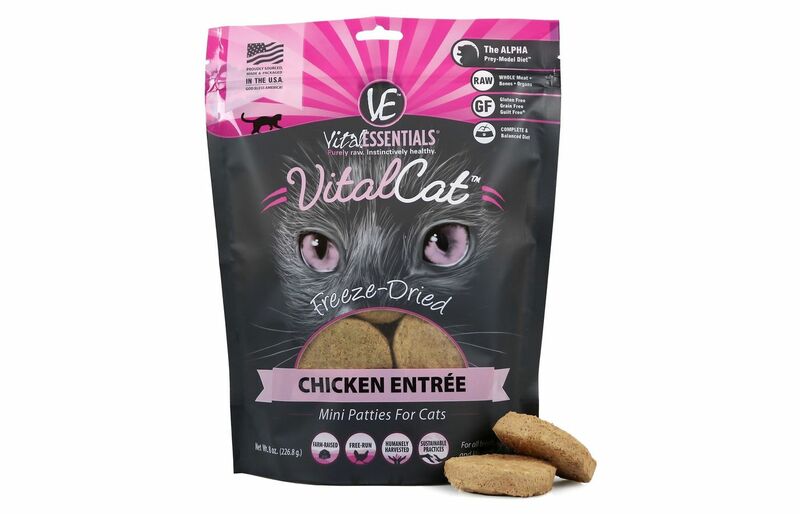 The patties are all grain-free so there is no wheat, soy, or corn nor gluten which your cats don’t need.The protein hasn’t been produced with any added hormones or, antibiotics. There are no artificial flavors, colors, or preservatives or synthetic vitamins or minerals,meaning that the patties are filled full of wholesome goodness. All this promotes a healthy immune system, weight control, a glossy coat, and firm muscles and bones. In addition, munching on these patties helps to remove plaque from the teeth. 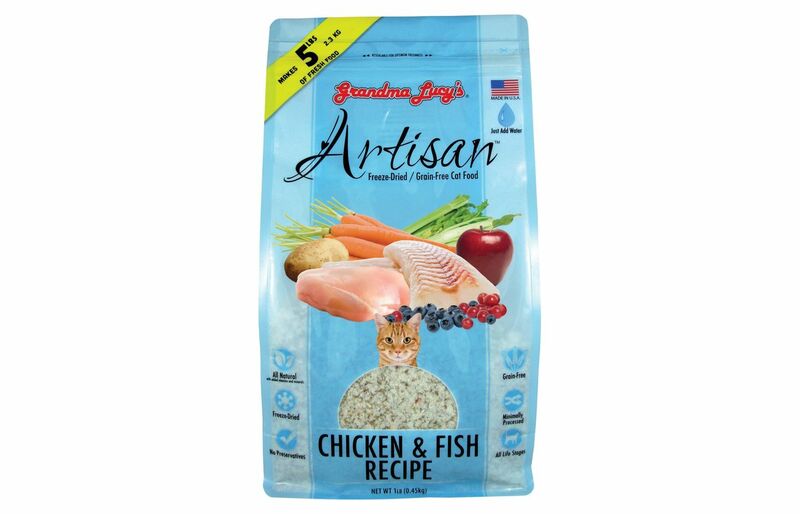 It has AAFCO certification so you will know that the food must be good for your cats. The patties can be served as a meal or as a treat. As they are freeze-dried, they don’t need to be refrigerated. These are bite-size freeze-dried nibbles which can be served as a treat or topper, or add water and serve as a complete meal. It is suitable for all breeds and ages from eight weeks old. They are just right for little jaws. It has a high protein count in the form of chicken which helps your cats get strong and lean muscles, and there are nutritious fresh fruits and vegetables included in the recipe. 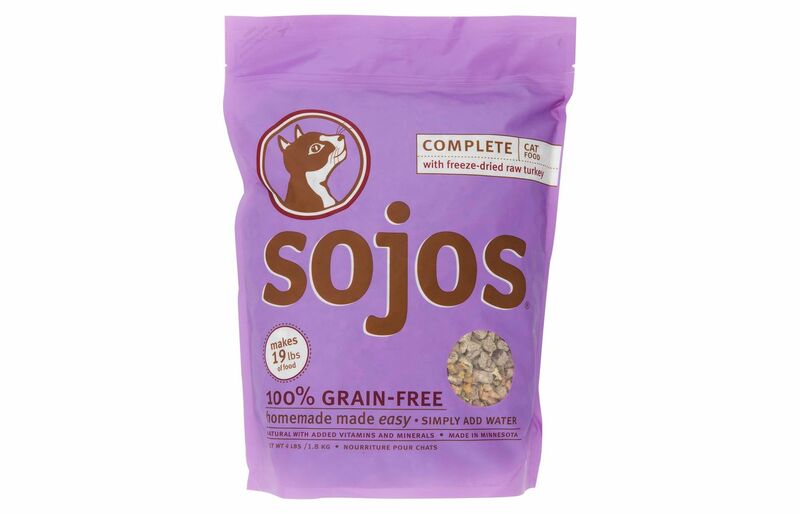 It is completely grain-free and contains no wheat, corn, soy, or gluten which your cats don’t need. However, there are amino acids, digestive enzymes, and probiotics, all of which strengthen the immune system, gives a shiny and glossy coat, and healthy skin. It’s not fun when you have itchy skin or allergies. In addition, omega-3 fatty acids are included which also help with the coat and skin, as well as the joints. All products used in this raw cat food were made in the USA. This recipe, which is produced in New Zealand, is made from 99% grass-fed lamb and freshly caught salmon, both of which have high protein counts. It also contain New Zealand green lipped mussels. How’s that for even more added protein? Your cat will begetting all the protein a natural carnivore craves and will give him strong and lean muscles. It also contains plenty of vitamins and minerals, as well as omegas for a healthy immune system, a glossy coat, and healthy skin. All irritations will be minimized. In addition it is free of all grains, like soy,wheat, and corn, gluten, rice, cereals, and potatoes.. No GMO products have been included in the recipe and there are no gelling agents, artificial colors,flavors, or preservatives. All the better for the health of your cat. The food is freeze-dried which removes the moisture, but not the nutrition. Just add water and serve. You will have very happy cats. 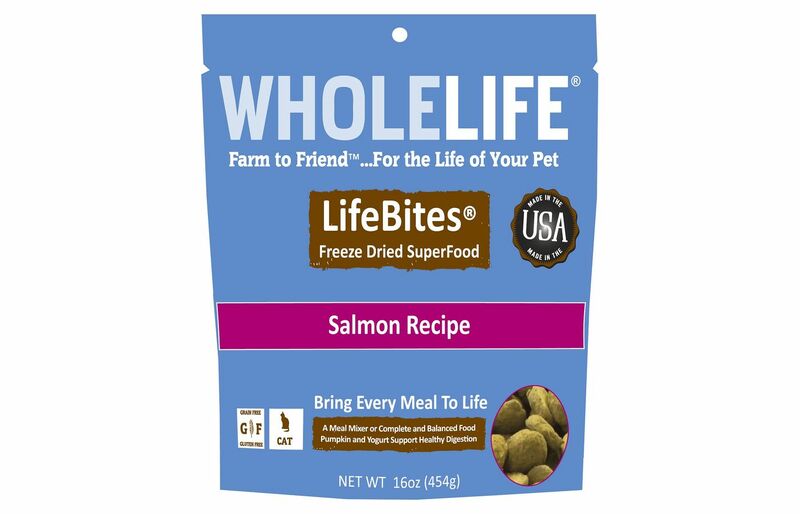 All of Whole Life’s products are 100% suitable for humans so your cats will get high-quality food.Everything is made in-house in small batches each day. The food is freeze-dried slowly so none of the nutrition escapes as it would do if it was cooked. This recipe is packed with protein and has chicken and salmon high up on the ingredient list. What cat doesn’t love poultry and fish? .Can’t be many. It also has raw fruits and vegetables. There is nothing cooked in this recipe.Pumpkin and yogurt are included in the mix and they both promote healthy digestion, with the added help of vitamins, minerals, antioxidants, and live active cultures. It has essential taurine which cats need for heart health,brain function, good eyesight, and urinary health. Always make sure that there is taurine in any cat food you buy as cats have to have this as part of their diet. To top it all, there are no artificial colors, flavors, or preservatives in this cat food, just raw goodness. This recipe and all their other foods are prepared in small batches in their own family-owned facility in California. Every single ingredient is inspected for quality and chosen for the benefits they have for the health of cats. The first two ingredients of this cat food are chicken and pollock, both of which your cats will love. There are also some raw fruits and vegetables including potatoes, carrots, and celery which provide extra vitamins and minerals for your cats. Vitamins are also added by the inclusion of apples, blueberries, and cranberries. The cranberries are excellent for urinary health. The food is rich in omega fatty acids which promote a glossy coat, healthy skin, and supple joints. This is nothing but good for cats who have skin irritations. There is taurine for a healthy heart,optimal brain function, and good eyesight. Your cats will also find that their digestive system is improved through eating this delicious recipe. In addition there are no grains included in the recipe, including corn, wheat and soy. Raw turkey is the first ingredient in this cat recipe. It is full of protein which your cats love and which gives them strong and lean muscles. This also contains eggs with is another protein boost. Cats can’t have too much protein. However, there are also some healthy raw fruits and vegetables included, such as sweet potatoes,flaxseeds, and cranberries. The cranberries are very helpful in making sure that the urinary tract works as it should. The food is also jam-packed with health-boosting superfoods like pumpkin, basil, alfalfa, kelp, and ginger.Pumpkin is full of fiber so helps your cats’ digestion. The recipe is completely free of any grains like wheat, soy, and corn, GMO ingredients,artificial flavors, colors and preservatives and added sugar and salt. It is completely natural for the health of your cats. All you have to do is add water to the mix and soak. Then it’s ready to serve to your furry friends. Why Should I Feed My Cat A Raw Food Diet? There are so many advantages to feeding your cats a raw food diet. Firstly, it will improve their digestion. The digestive process of cats is geared towards a meat-based diet. In addition you will find that stool odor is reduced as is the volume. Great news for whoever has to clean the litter box! 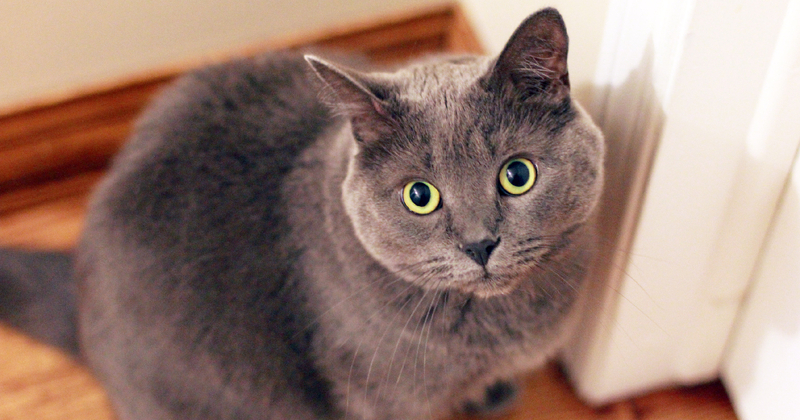 Your cat will have a shinier coat and healthier skin due to the animal-based fatty acids. 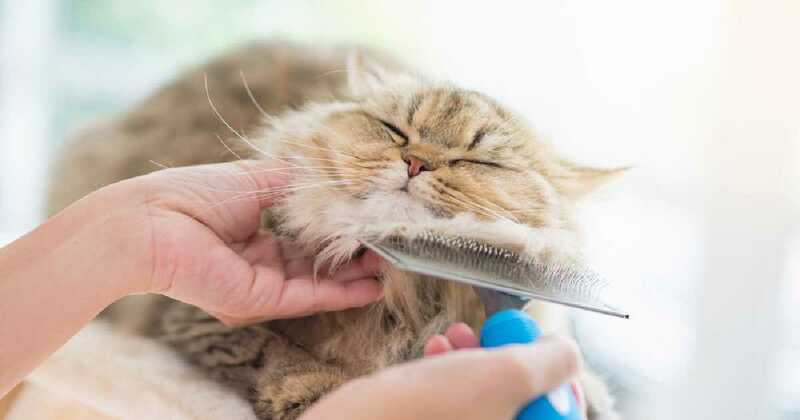 Your cats will also shed less and have fewer hairballs.Meat supplies cats with a lot of energy so you will find that your cat wants to play more and will also lose weight. They won’t be as hungry on a raw food diet as they were when they were eating regular cat food which is full of carbs. They will also have better dental health as they now have to chew which reduces tartar. Finally, raw food has more moisture so your cats will have better urinary health. All good reasons to change the diet of your cats to raw food. Why Does My Cat Need Taurine? Taurine is an essential amino acid which plays an important part in the health of your cats. It is difficult for cats to manufacture this in their bodies, so they need to get it from a food source. The best place for cats to get taurine is from animal products. If they are being fed on regular cat food which is full of carbs and fillers, they won’t be getting enough. On a raw food diet, animal protein is high on the list of ingredients so they will be getting decent levels of this amino acid. Without it, there can be severe health repercussions. For example, their eyesight can be impaired and they could even become blind. In addition lack of taurine can lead to heart problems and tooth decay.